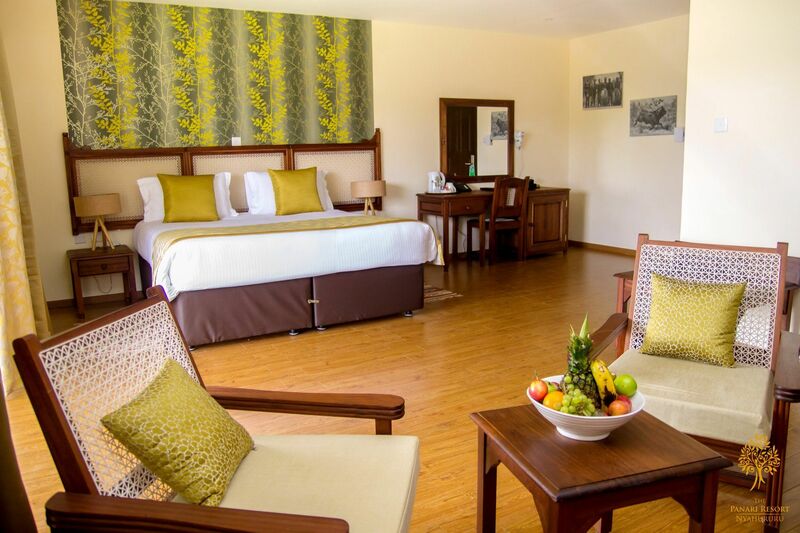 Panari Resort has 98 rooms, an executive villa and a presidential villa. The villas have a lounge and kitchenette. 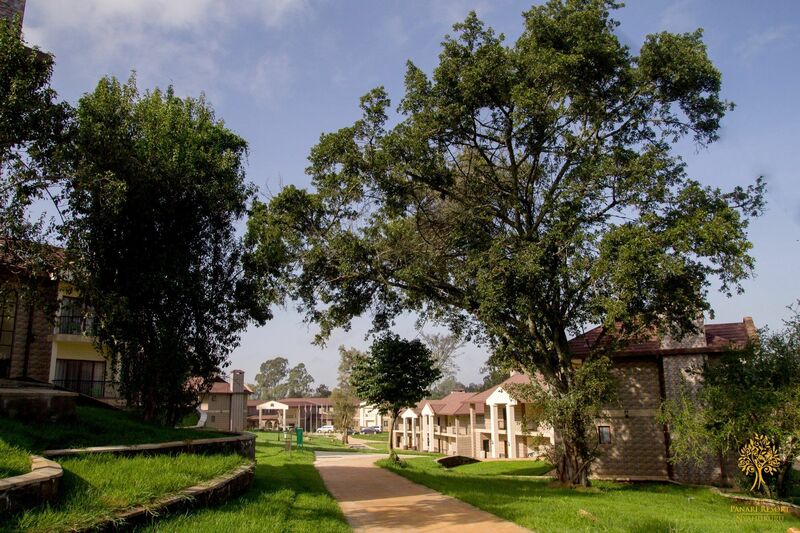 The resort offers a choice of 22 cottages of 4 rooms each set out on lavish, well-manicured grounds and family rooms including 2 rooms for the physically challenged hosted on the mail building. 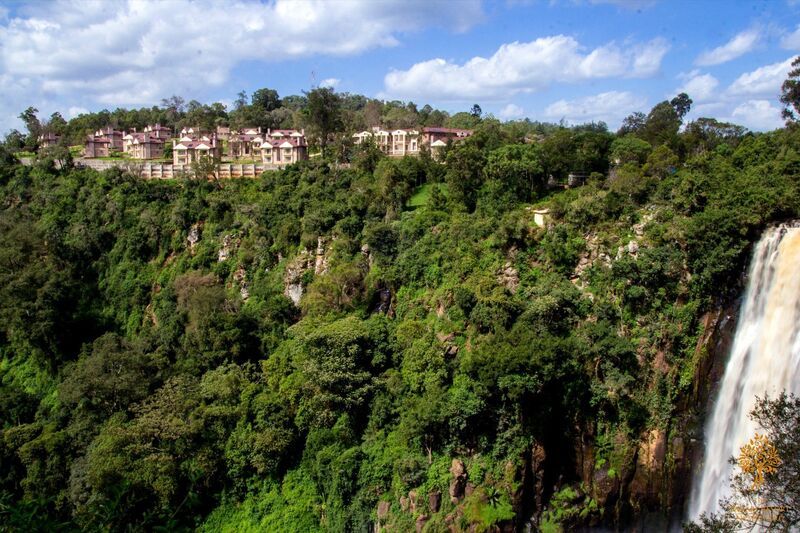 The resort overlooks the serene gorge of the spectacular Thomson Falls and the Ewaso Nyiro river. Brown Olive Restaurant 6am - 11pm One can enjoy the legendary Brown Olive Restaurant – reputed to be our scenic point, capturing the Joseph Thompson Fall’s history to compliment the feel. 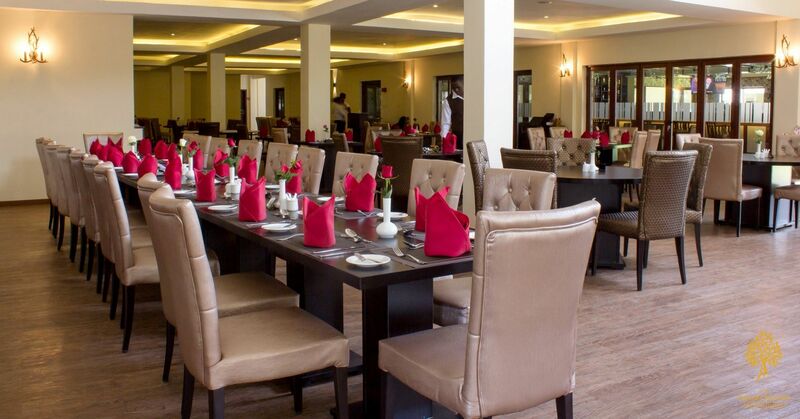 Our guests enjoy a choice of the indoor dining at this legendary restaurant that holds pride of place in the main building of the resort. 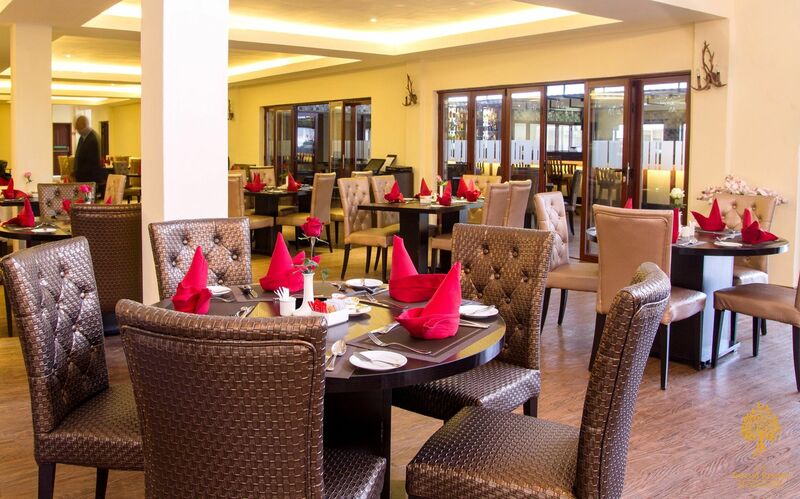 The Brown Olive offers a fusion of cuisines with influences from Continental and pan-African cuisines. It also serves mouth-watering pizzas prepared in an authentic wood fired oven. Pool Bar and Restaurant 3pm - 6pm The ideal spot to enjoy fresh juices and light meals and the perfect complement to a day by the pool block, or simply to take a relaxed break. Silky Oak Bar 3pm - 12am The Silky Oak Bar is an elegantly decadent, plush lounge bar; home to the finest mixologists ready to serve exotic and tailored cocktails at any given time. 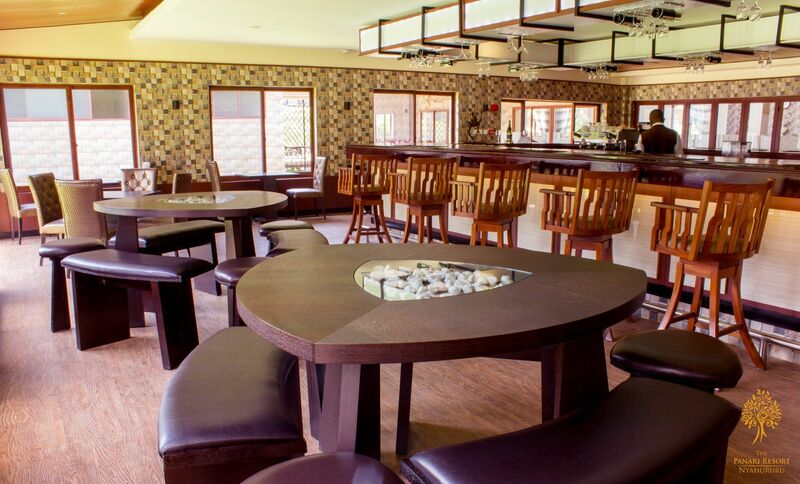 The Silky Oak Bar serves up an international selection of breakfast, lunch and dinner items throughout the day. It’s the spot for the attentive service. The Silky Oak Bar stocks all major local and international newspapers and in keeping with its status there are screens mounted to keep you updated with the latest news and sports. Eucalyptus Spa Our gym carries the modern gym equipment’s to cater the desire of every individual that visits our facility. We also offer personalized workout regimen to help every member meet there highest goals in fitness and lifestyle. We also have a well-trained instructor who is all rounded to offer Zumba and yoga and aerobics. We also have modern yoga therapy for our in-house guests and health club members. 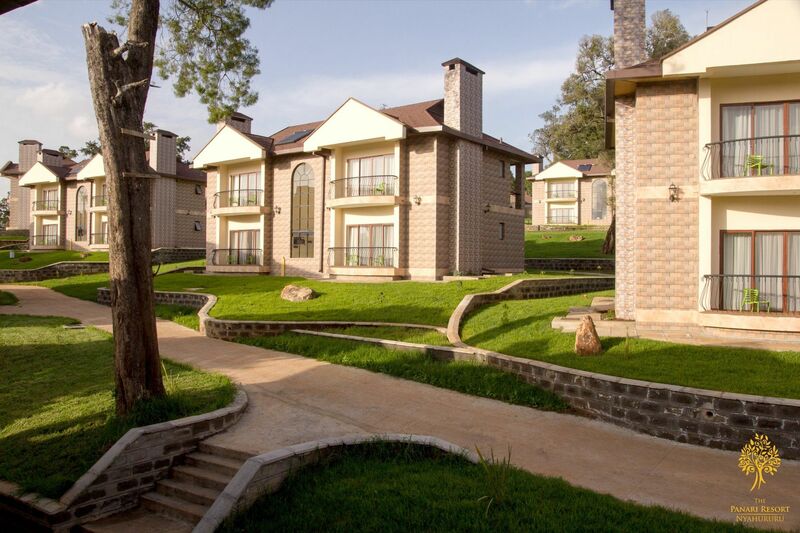 We offer classes as part of our package to non-members at a daily fee of only Kes. 500 per person.